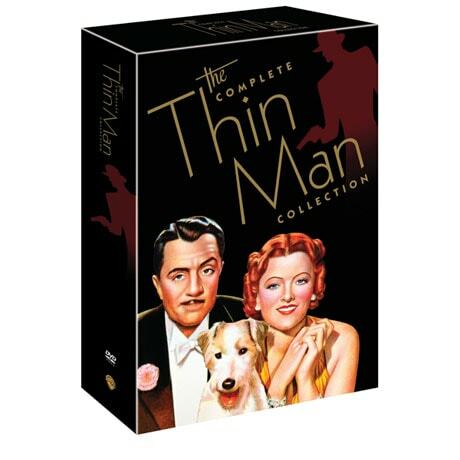 William Powell and Myrna Loy are husband-and-wife sleuths Nick and Nora Charles in this sparkling series of films from the 1930s and '40s. Great chemistry, witty dialogue, a glamorous setting (1930s upper-class Manhattan), and a wire-haired terrier named Asta made it a hit with audiences. Collection includes the original Thin Man and all 5 sequels (see all titles online). 6 feature films, 11 hrs, 7 DVDs, CC, B&W.